Thanks to the generosity of family and friends of prominent past AVA supporters, AVA is honored to offer scholarship opportunities that mitigate the cost of classes and workshops. Scholarships are offered at 50-100% of tuition. Application forms may be downloaded and emailed to info@avagallery.org or mailed to AVA Gallery and Art Center. Forms are also available in AVA’s main office. 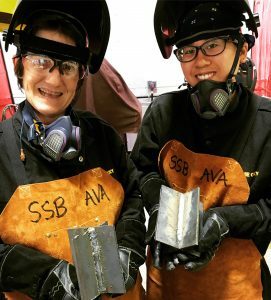 The AVA Scholarship Fund is AVA’s general scholarship fund providing eligible individuals of all ages and abilities with tuition assistance in any of AVA’s art camps, educational workshops, or outreach programming. Funds donated for scholarships but not specifically directed to the Al Quirk or Aya Itagaki funds are allocated to this fund. The Alfred T. Quirk Senior Student Scholarship Fund was established to support seniors (65 and over) in their artistic endeavors. After his retirement from a thirty year career at Dartmouth College, Al Quirk began a new calling as a watercolor artist, taking classes at AVA and eventually serving on AVA’s Board of Directors. Recognizing the significance art and AVA played in Al’s later life, eligible seniors can apply for a scholarship for any AVA class or workshop. The Aya Itagaki Scholarship Fund provides eligible individuals of all ages and abilities with tuition assistance at either AVA or the Okinawan Karate Academy. Aya was an AVA founding member, artist, teacher and AVA board member for over four decades. Her family established this scholarship fund to continue her legacy of support. Applicants may receive scholarship assistance toward classes at either AVA or the Okinawan Karate Academy. All scholarship funds help provide creative opportunities for those who would otherwise not be able to participate due to financial concerns. Contributions can be made to any of these funds by phone (603) 448-3117, online at avagallery.org or by mail: AVA Gallery and Art Center, 11 Bank Street, Lebanon, NH 03766.